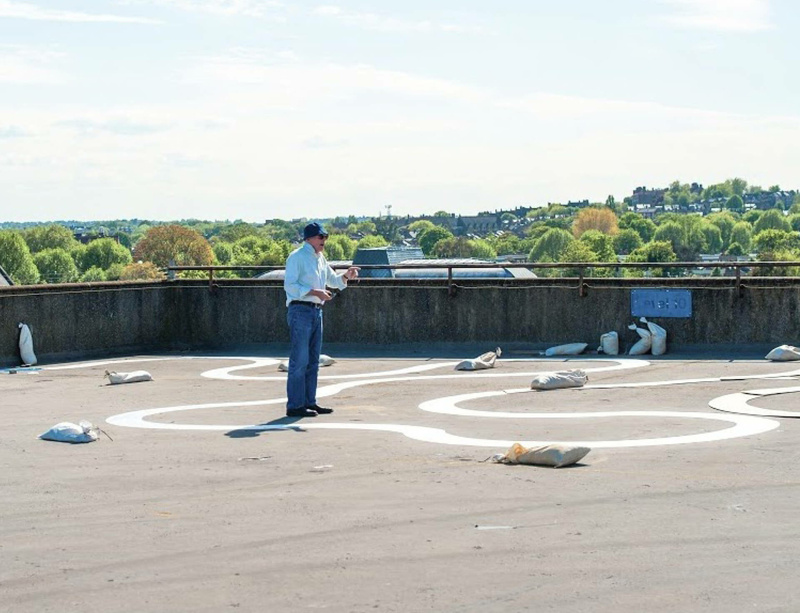 Richard Wentworth has been commissioned to create a floor-based installation, Agora as part of Bold Tendencies, a summertime non-profit organisation, which transforms a disused multi-storey car park in Peckham to showcase a seasonal arts programme. "You know that thing when your pen doesn’t work and you scribble round and round? I always think it’s very funny that sort of mark making, which isn’t really intended. It’s a mark to see if something will mark, but it crosses itself, so in order to proceed you go backwards and then you go forwards. I expect in high maths there’s a name for it. I think they’re lovely because they’re filled with energy and frustration. I think our lives are like that. Mostly we are going backwards, then if you’re really lucky there’ll be a little event and you’ll be propelled forwards." Richard’s installation will be on view from Wednesday 27 May until late September.